Lexington Station townhomes in Morton Grove more than two-thirds sold. Construction is underway on 31 new townhomes at Lexington Station in Morton Grove, and more than two-thirds of them are already under contract. 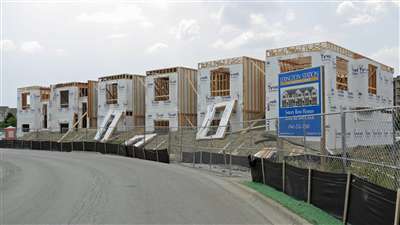 Two- and 3-bedroom, 2 ½ bath townhomes with 2-car garages are priced from $312,990. Lexington Station has been attracting North Shore and city buyers who are excited about the opportunity to buy a new home from a veteran builder in an established north suburban community. 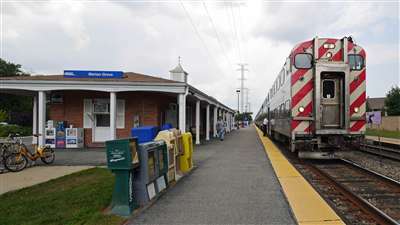 Lexington Station is close to I-94, and less than a 10-minute walk from the Morton Grove Metra stop and its half-hour commute to Chicago’s Union Station. Residents at Lexington Station will enjoy a 3-minute walk to an intersection with a small town feel where they’ll find restaurants, a coffee shop and the Morton Grove Public Library. The bike trails, picnic areas and other attractions of the St Paul Woods forest preserve are also nearby. The sales office for Lexington Station is open daily at 8342 Concord Dr in Morton Grove.